You can now enable the Auto-Updating feature for Despero. 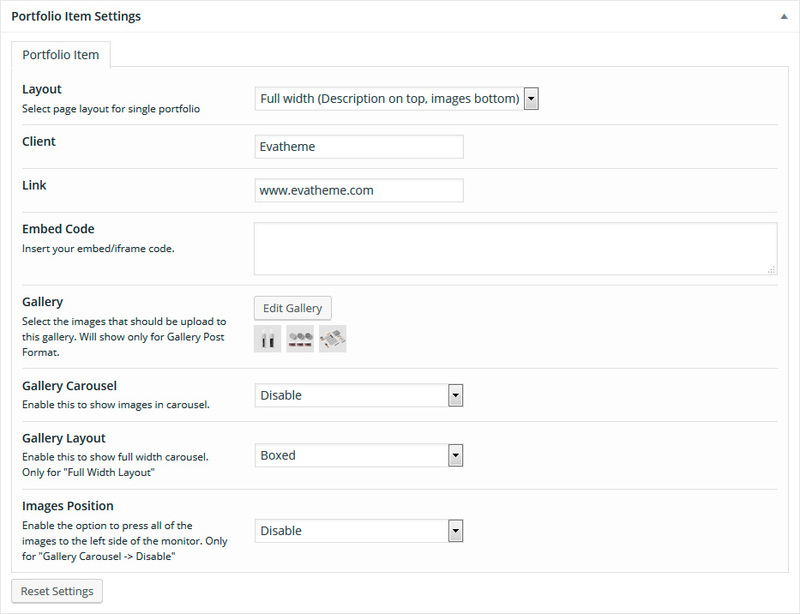 To do this, please first make sure that you have the Envato WordPress Toolkit plugin installed. If you haven't already installed this plugin, you should see a notification on the top of your Dashboard stating that some required plugins haven't been installed or activated. Install and activate all of the required plugins, including the Envato WordPress Toolkit. Copy/Replace content of the despero folder to the /wp-content/themes/despero folder of your web site. 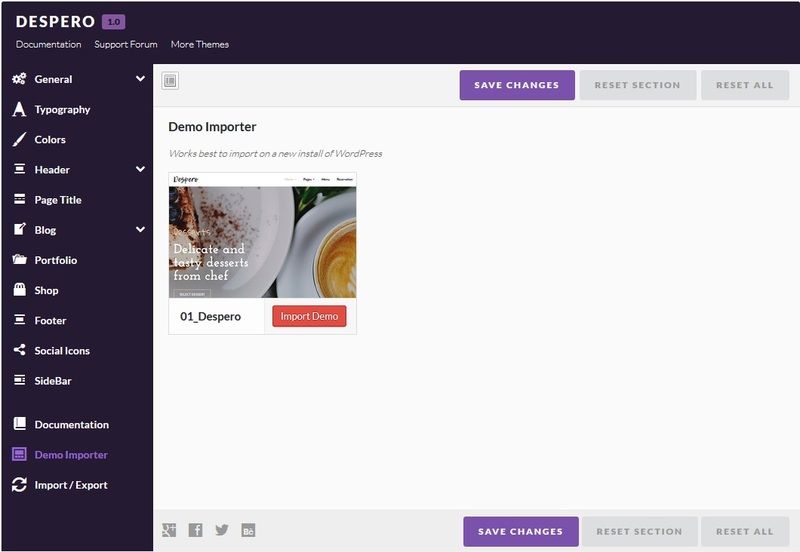 Despero compatible with the Visual Composer plugin. 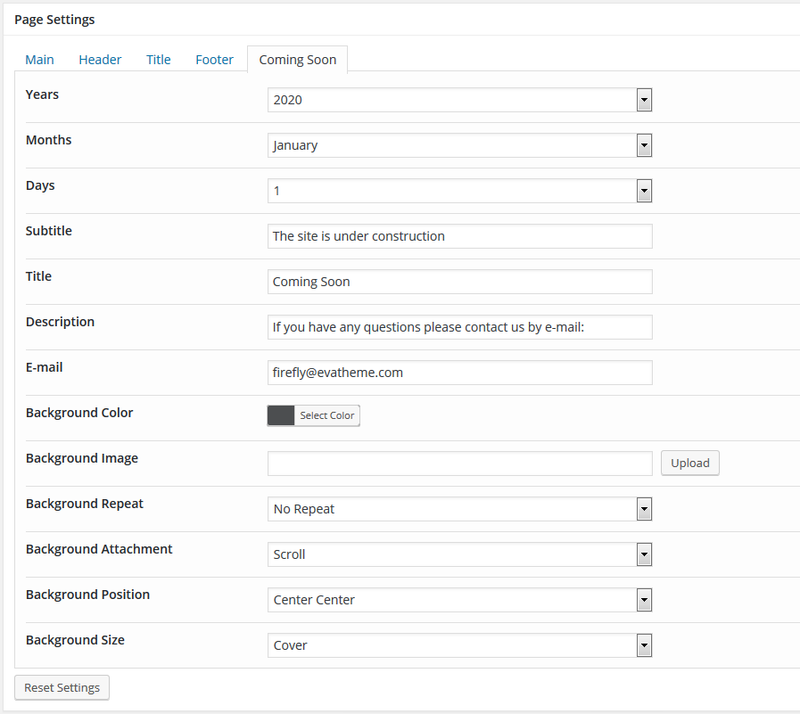 In this page builder added a custom element Blog Posts. 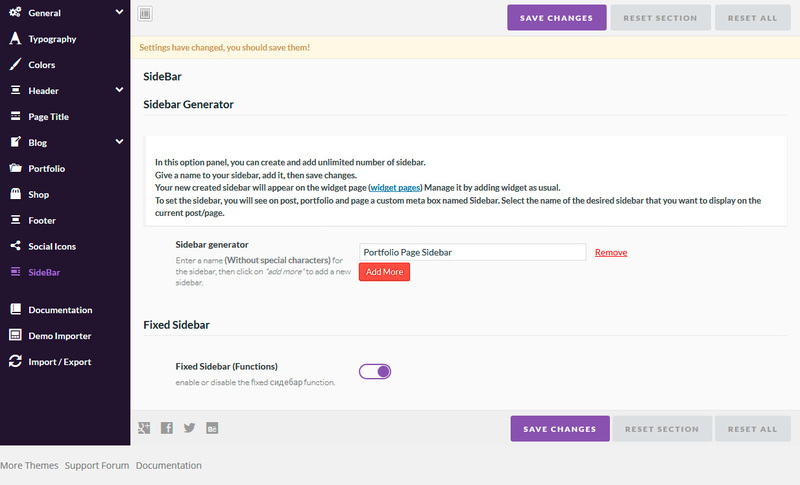 You can add it to any page to create your own unique style. 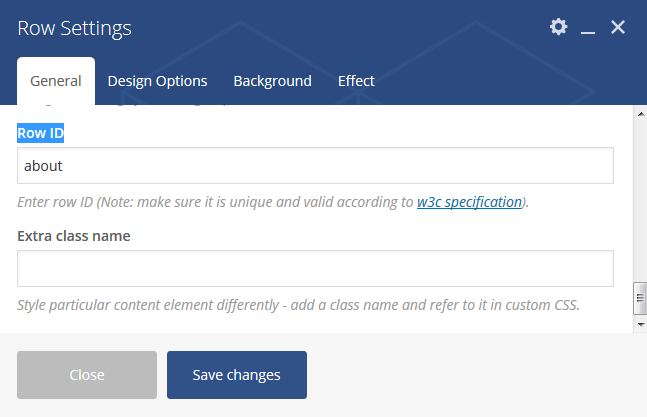 Despero is compatible with the Visual Composer plugin. 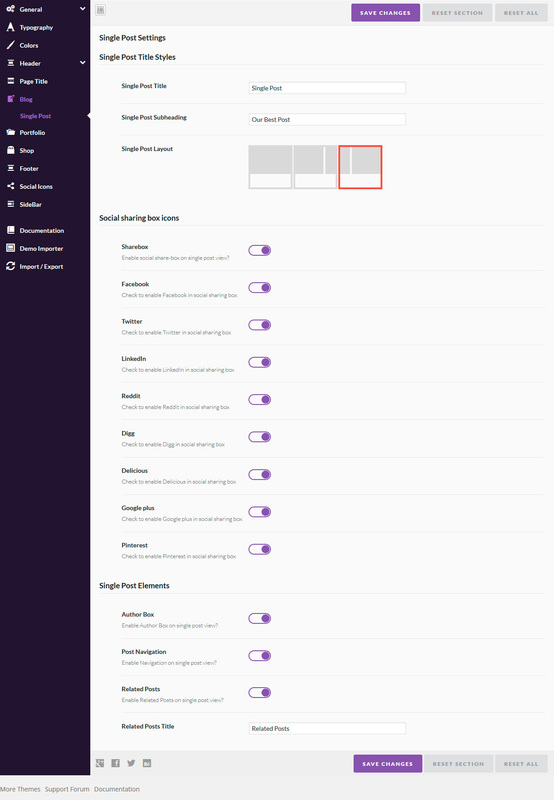 In this page builder added a custom element Portolio Posts. 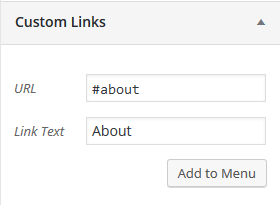 You can add it to any page to create your own unique style. 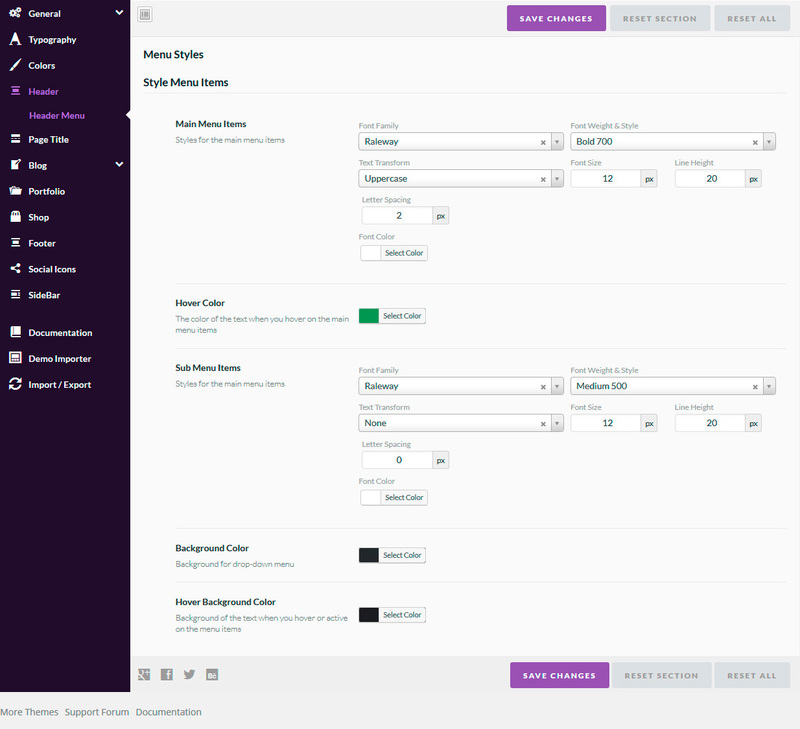 Once you've installed Despero and activate all the recommended plugins, you can start building your site. 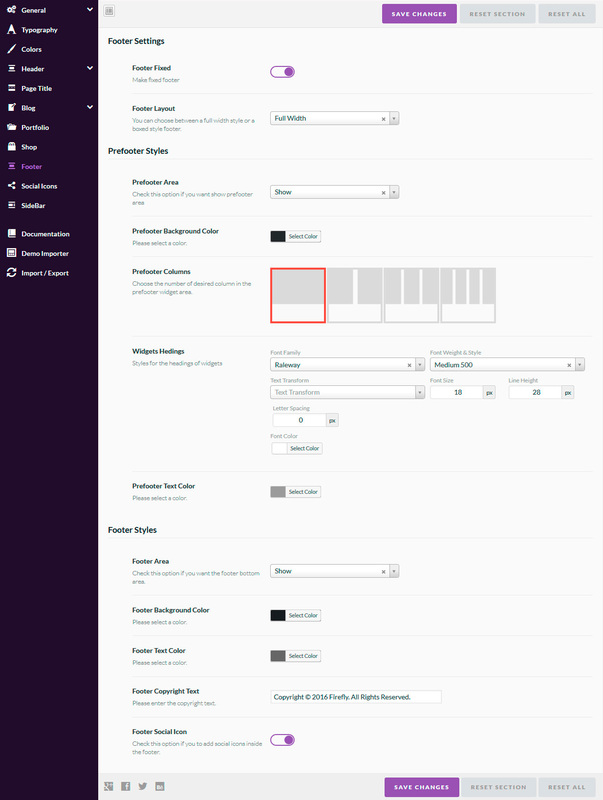 Now let's set up the footer by going to Despero Options -> Footer from the admin panel. 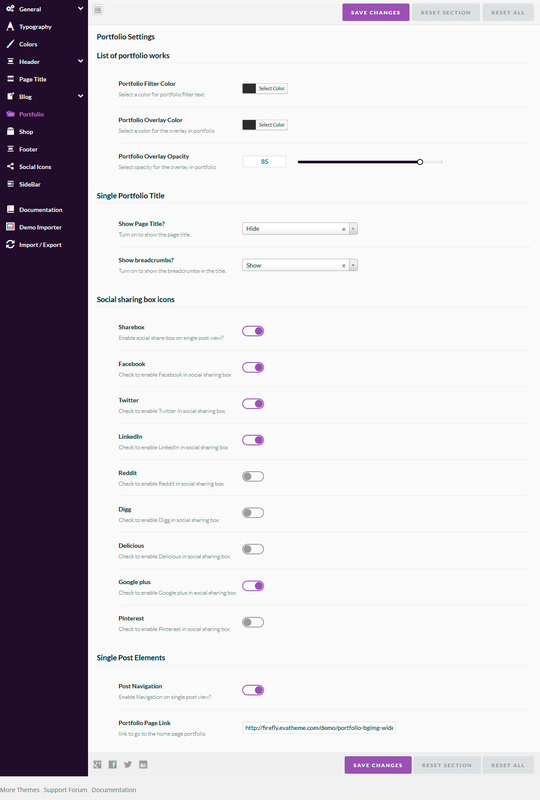 Some settings you define here will be the default settings for all pages on your site. 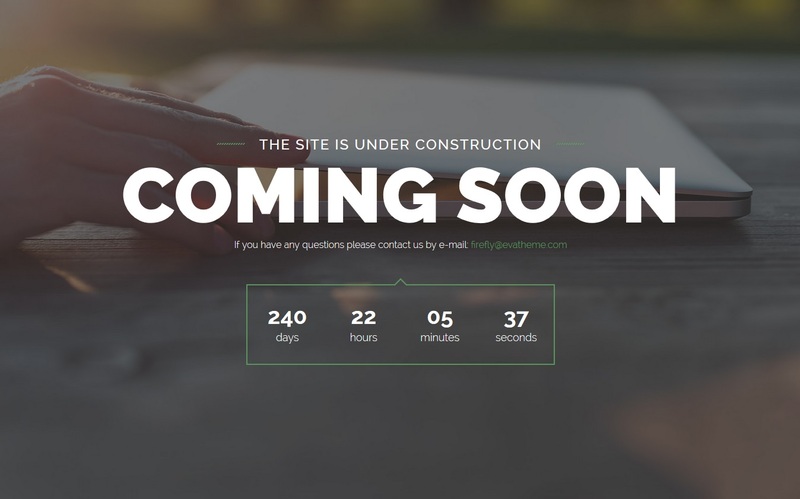 Finally, let's set up the general look and feel of your site. If you'd like to keep the fonts and colors you see on the Despero demo site, then you do not need to do anything more. Otherwise, go to Despero Options -> General. Typography, Color, General -> theme layout items, choose a default font family for your site, as well as the default content background color. 1. 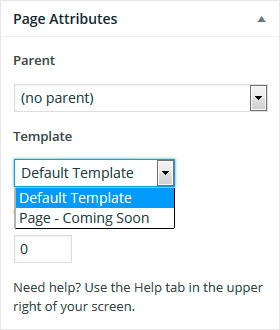 Activate One Page Menu function: Please go to Despero Options -> Header -> Header Settings. 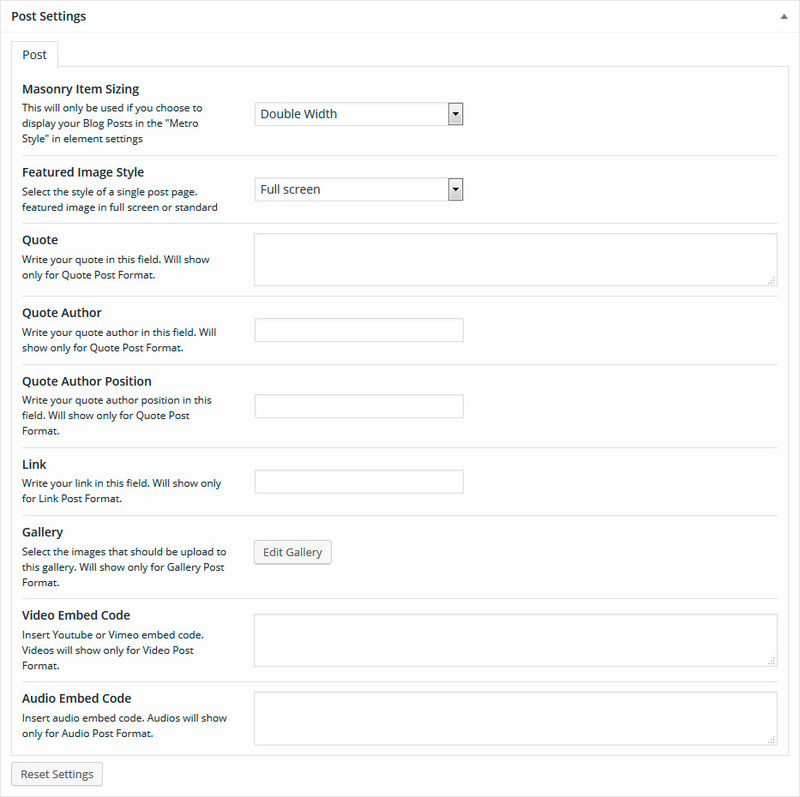 Despero comes with 7 different post formats: Standard, Image, Gallery, Link, Quote, Audio and Video. 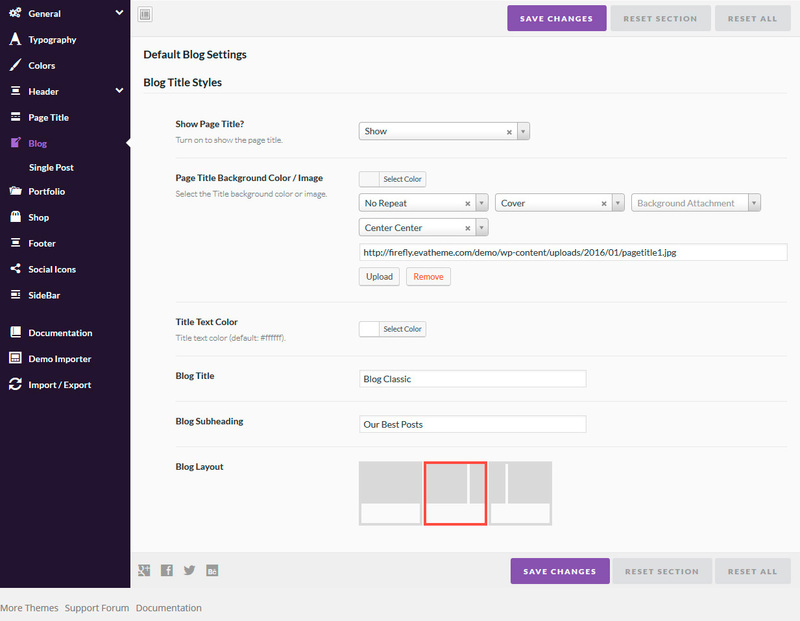 When you're creating a new post, choose what post format you'd like and insert the necessary info. 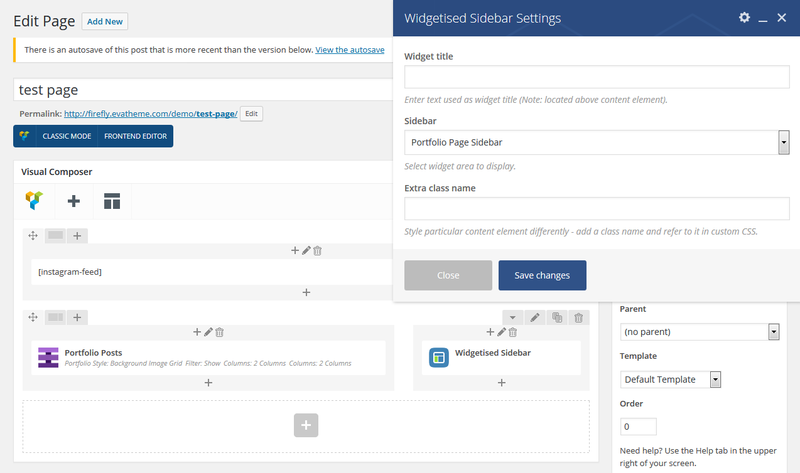 To display the Portfolio section in the admin panel, you need to install the Evatheme Custom Post Types plugin. Despero comes with 4 different post formats: Standard, Gallery, Audio and Video. 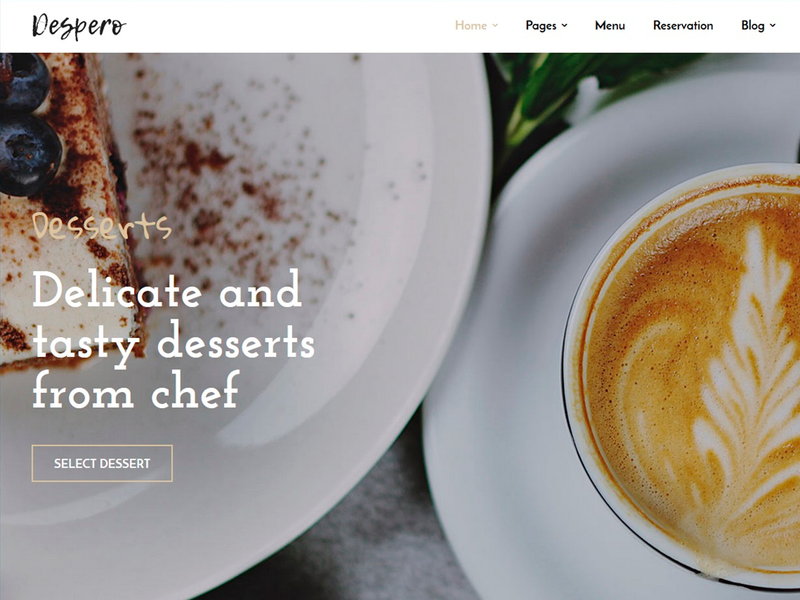 When you're creating a new portfolio post, choose what post format you'd like and insert the necessary info. Go to /wp-content/themes/despero/languages/ and open en_EN.po file.